A few days ago, the first beta of persona was released, and I thought it would be nice to try it as a authentication mechanism in my next project. For the pyramid framework, the persona documentation pointed to this blog post : Painless Authentication with Pyramid and BrowserID, which describes how to use pyramid_whoauth with repoze.who.plugins.browserid to use persona in pyramid. So, instead of re-implementing half of it and try to plugin it with existing implementation, I decided to rewrite it from scratch, and I though it would be nice to release it as a library. It's called pyramid_persona, and it's available on pypi. The README should explain how to use it, but here is a more visual demonstration. 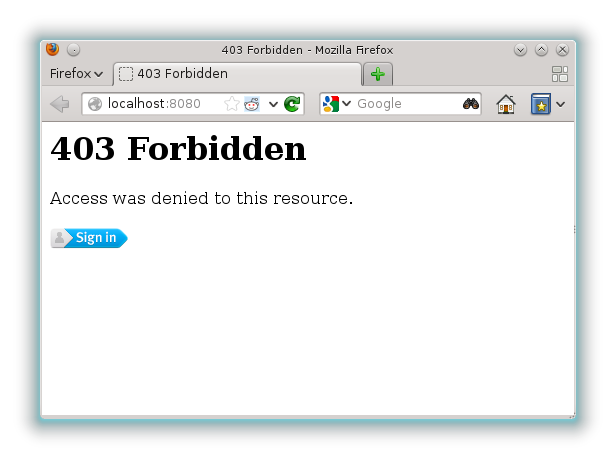 First, let's show how to have it handle authentication and give us a nice forbidden view. 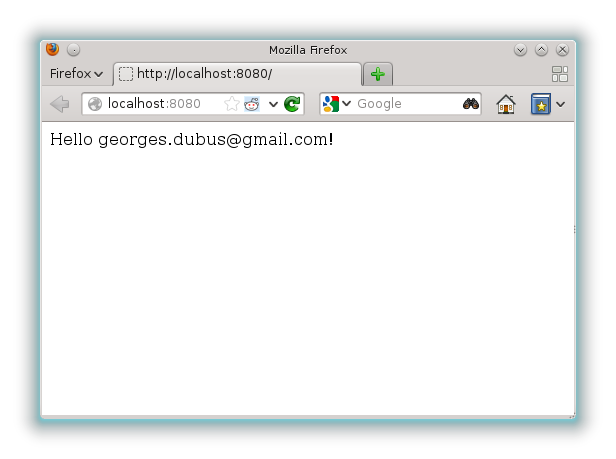 Let's take a small application with a view that says hello if we are logged in, and returns a 403 otherwise. Let's include pyramid_persona and add some settings. The secret is used to sign the cookies, and the audience is a security feature of persona, to prevent an attacker from logging into your website using the login process from another website. We now have a login button on the forbidden page, and the login process works as expected. 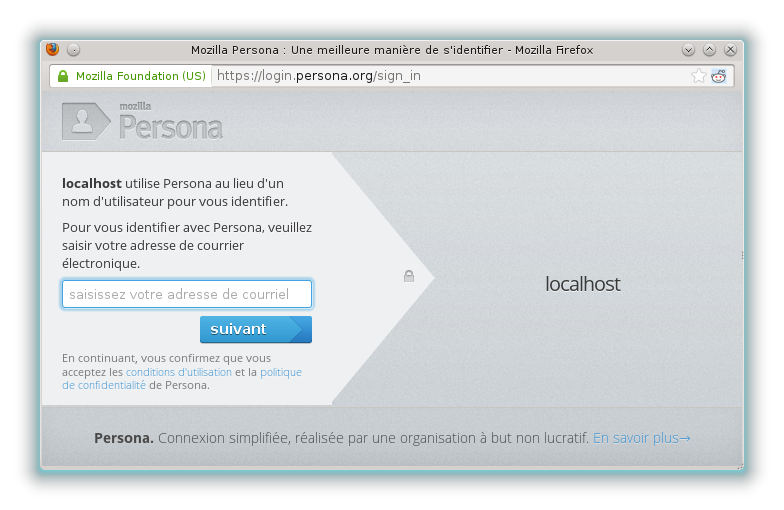 Clicking on the login button opens the persona login form (in french for me, because I'm french). Once it's done, we are logged in, the page is reloaded, and everything works as expected. We just got a nice, nearly free login system. It would be even nicer to have login buttons on arbitrary pages. pyramid_persona provides a quick to setup authentication method, that can be customized to grow with your app. It is available on pypi, so it's pip installable. You can check the readme and the source on github. Of course, issue reports and suggestions are welcome. Researcher among the engineers, engineers among the researchers. Python and Haskell, among other things.